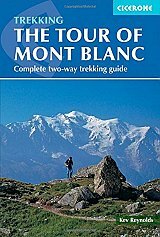 The essential guidebook to the 170km Tour of Mont Blanc trek in the Alps. One of the best of the world's classic walks, which circumnavigates the Mont Blanc massif in about eleven days through France, Switzerland and Italy. The walk has all the excitement of the high mountains yet none of the worry of altitude sickness. It crosses numerous cols with stunning views of spectacular snow and rock peaks and accommodation along the route is plentiful. The 'official' Tour du Mont Blanc follows an established route around the main block of mountains containing not only Mont Blanc but its principal allied summits such as Verte, Chardonnet, Gouter, Geant, Jorasses, d'Argentiere, Dolent and numerous others. The author describes the tour both in the traditional 'anti-clockwise' direction and the 'clockwise' direction. There are several alternative routes that subsequently link, and these are also described. The routes have been created to give the very best perspective and appreciation of the whole region. At every opportunity recommendations are made that will bring the walker into closer contact with the area. This guide is in full colour, with points of interest, accommodation details and overview maps for every stage, along with details of the natural and cultural history of the region. This edition includes new routes around Courmayeur and Arnuva and to Lac Blanc, as well as essential practical information on travel to and around the Mont Blanc Massif, mountain safety, languages, curreency and more. The result is an ideal companion to take on one of the world's greatest mountain adventures.